© 2019, Premier Wall Anchor and Waterproofing. Foundation repair is often shrouded in all kinds of myths and misunderstandings. To help you make an informed decision about whether to repair your foundation, we explore some of those beliefs below. Fact: Tthey sometimes do. When building a new home, crews dig out a significant portion of the surrounding soil to place the home’s foundation. Then, once the foundation has been erected, the loose soil is placed back against the foundation walls and compacted. However, the soil will still be a bit loose, at least for a while. Loose soil is prone to weather, snow melt, and other natural events – all of which can lead to bowing basements and foundation issues. 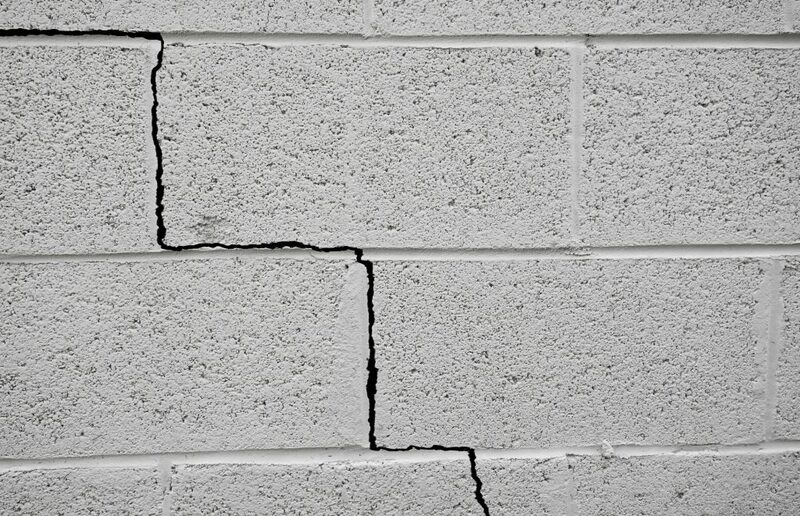 Fact: Injecting epoxy into the cracks alone cannot solve foundation issues. While the cracks eventually need to be filled, actual repair usually happens deep within the foundation and involves complex processes that should be handled only by an experienced specialist. Fact: Not at all. Although foundation issues may affect the structural integrity of the home, this doesn’t mean that every home with foundation problems is a non-option. Even serious foundation issues can be successfully fixed. Fact: Foundation repairs can cost a significant amount, but not all are obscenely expensive. Generally, major repairs that require the installation of piers and pilings cost several thousand dollars. But most repairs don’t need that and, as such, often cost just a few hundreds. Fact: Foundation problems only get worse with time. The longer you wait to do the repairs, the wider the cracks will grow, and the weaker your home will become. Bowing and bending walls also will only continue to worsen, necessitating costlier repairs. The best choice is to repair the issue as soon as it’s discovered. Premier Wall Anchor & Waterproofing is the foundation repair company of choice in Stow, Ohio, and surrounding cities. Contact us today for professional, on-time repairs. © 2019, Premier Wall Anchor and Waterproofing. All Rights Reserved.